This is a post to help you decide whether you want to do Stronglifts 5x5 whilst preparing for a race in running. If you are an average athlete I would recommend it to prevent injury if you have the time to spare. If your overall goal is general health and fitness this is a great program to run next to a three day running plan. If your main goal is a very fast race time, you might want to step away from this idea. If you want the details of the program itself and the results it can provide please see this Stronglifts review, as I will not describe the program itself in this post. Always consult a doctor before deciding for a special exercise program or diet. 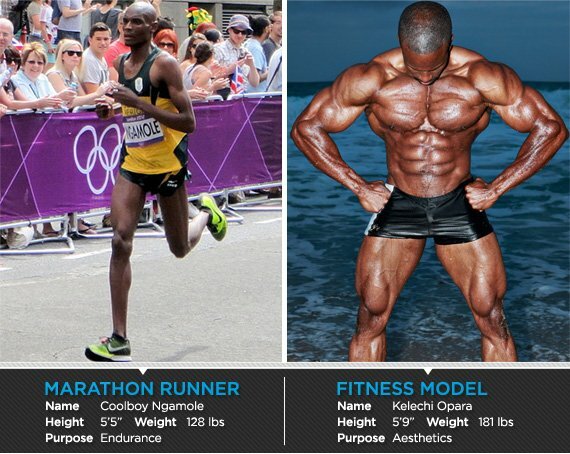 What kind of runner are you ? If you consider Stronglifts 5x5 while being on a running plan ask yourself why you are running. If your running is aimed at shed off these pounds for summer or stay generally fit and you are now looking into options to make your exercise regime a bit more exciting I personally think you are in the right spot. If you are obese and your major aim is to lose the additional fat, maybe step away from Stronglifts 5x5 and look in to 30 Day Challenges and especially programs which are based on "As many repetitions for time" using body weight like bikinibodymommy or bring up your overall mileage in running slowly easing into faster pace. For the ones who are long distance runners aiming for a better time I think Stronglifts 5x5 is a great option during your off season after the central race of the year to build strength and prevent injury during season. To do Stronglifts 5x5 you will need three days a week starting out at half an hour each which will quickly escalate to 1 to 1 and half hours while you are progressing on the program. For casual runners this should not be too much of a challenge and I did split my time three days in the gym, three days outside to run when preparing for my first marathon which I finished in 3:58. For runners who are aiming to go below the 3:00:00 mark for the marathon I personally think this time is better invested into getting more mileage in to achieve this goal. Weightlifting is a distraction for this goal, which I had to learn the hard way and I am still on the quest to prove that it is possible to lift heavy and run fast for long. However not everyone is as insane as me, therefore put the Stronglifts to off season and do so minimal strength training most elaborate marathon plans have anyway. For all runners alike I highly recommend the program to stay injury free. I run for two years now and finished three marathons in that period. I stayed injury free through the entire time while friends of mine hurt their ankles, pulled their knees and I heard of more injuries which are common for runners. I mainly attribute this to doing Judo for 12 years when I was a teenager, which I think hardened my system for shock impacts and the weightlifting I did in parallel to my running training. So if you want to stay injury free, in my book, lift. If you lift, Stronglifts 5x5 will be a program which especially long distance runners will like as they know the mechanics of the daily grind to improve in increments. Stronglifts 5x5 is a lifting program for beginners and reading this article I assume you are a beginner in the field of lifting. If you are advanced, maybe consider a different program like the Cube, the Lilliebridge method or Jim Wendler 5/3/1.